InterAct With Music Assessment is the first in a series of active music making assessments for the Interactive Whiteboard. 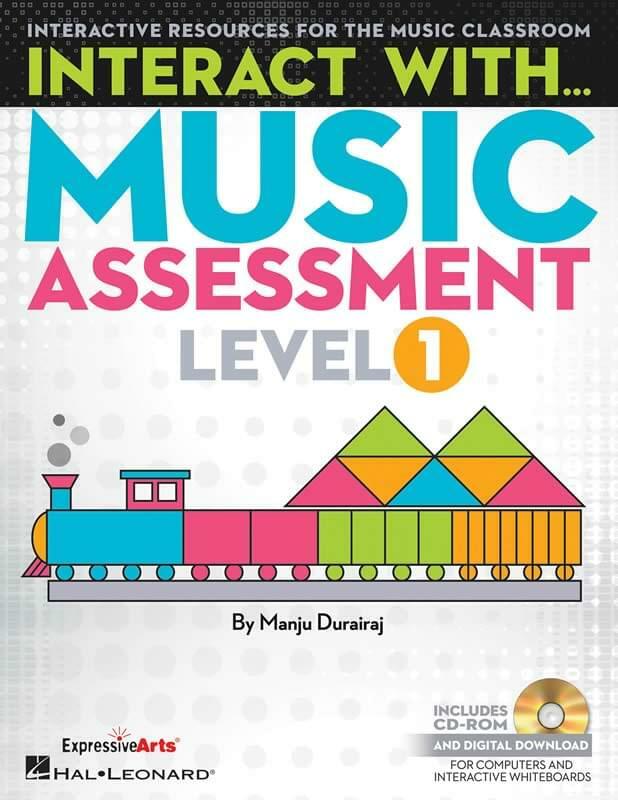 Level 1 is an extensive stand-alone collection of 30 sequential assessments for rhythm, pitch/melody, expressive elements (dynamics, tempo, legato, staccato, etc. ), timbre, texture, form, and/or harmony. Each interactive assessment will involve students through movement, instrument playing, listening, creating, composing, and reading/writing their compositions using graphic or traditional notations. These activities will also promote 21st century skills of critical reasoning, creativity, communication and collaboration. There are helpful "teacher talk" pull-out instructions, often with suggestions on how to use the same interactive page for a variety of activities. These comprehensive assessments provide a curricular framework for essential sequential instruction that also aims to make the fullest use of Interactive Whiteboards, IWB applications, tablets, and apps. CD-ROM will contain the online access code.